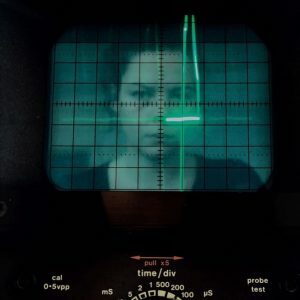 Veerle Pennock (1993) is a DIY hardware-hacker, constructor, and researcher currently based in The Hague, The Netherlands. Her interests lay in art, technology, apparatus, audiovisual performance and human-machine interactions and experience. Starting from a deep fascination for how these machines and apparatus work and function on the inside, she wanted to gain more control about these daily electrical machines and appliances. What makes them tick and how can they be manipulated or hacked to serve as an artistic medium or new tool for expression? In her work, there is always a perceptible tension between human and machine interaction by involving the user through experience. Her current research and work conducted during her Master ArtScience is focused on the man-machine relationship, cyborgs, tools, alienated apparatus and most importantly, what kind of relationship do we want to have in the future?